The recent passing of Gilbert Baker — the artist and advocate who created the first rainbow flag that is ubiquitous worldwide as the symbol of the LGBTQ community — inspired a community arts and media organization and the organizers of NYC Pride to create a fitting 21st century memorial. In a news release shared by Joe My God, NewFest and NYC Pride announced a new font created with the design team at advertising giant Ogilvy & Mather. 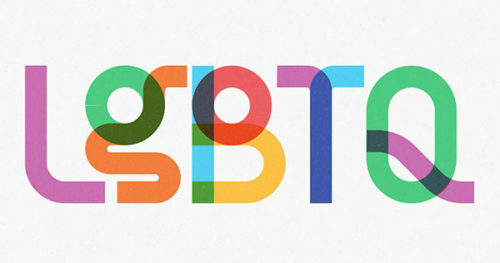 The new font is called “Gilbert,” and was inspired by his greatest creation, the rainbow flag. The team indicated they’re hoping for feedback on the design, which was created with artists at Fontself. We are all driven by the same passion for self-expression and creativity. Today, we are releasing a preview version of the font and we will iterate based on the feedback of the community. We will also share behind-the-scenes updates so anyone interested in using the font or creating their own version can learn more about color fonts. A short video shows off the new font.